“For most of human history, people have lived in durable, comfortable buildings made from natural materials such as soil, sand, rocks and fiber. 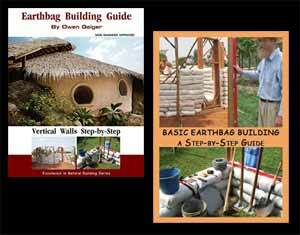 All over the globe, these ancient traditions persist; a quarter to a third of the world’s population today lives in houses built partially or entirely of earth. Conventional Western building techniques using industrial materials may save time and create efficiencies, but these perceived savings come at considerable financial and environmental cost. Living with and maintaining your earthen floor. I know what you mean. Being a realtor, I have seen a variety of homes made of those materials. There are a good number of homeowners who have discovered eco-friendly designs and materials for their homes, but many still continue to use those toxic materials. They are not aware of the harm those materials do to the environment, most especially their health and well-being. My friends know this as well. As they told me once, most of their clients still choose to use those easy to come by and seemingly low-cost materials. My friends give advice along the way, but of course they could only give suggestions. In the end, the decision still has to come from their clients. Nice post! This is very interesting. The idea of an earthen floor brings to mind cool and fresh interiors. I know of and seen a lot of eco-friendly or green buildings and homes, that’s for sure, but I have not been in a structure made mostly out of natural materials. I believe it would be amazing to see how this structures made of natural materials will take form from the ground up. I would love to be on the site of a construction to have a firsthand knowledge of the process. Yes, cool and fresh is a good description of natural homes. Most new homes are filled with toxic fumes from glue, paint, plastics and so on. This is a book worth a look see I believe. Thanks Owen. 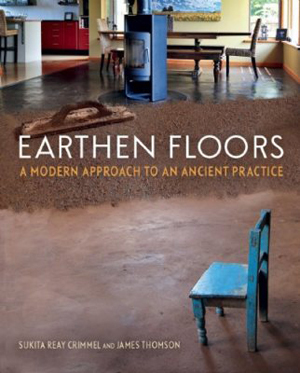 Sounds like an important book for natural floor development. Yeah, I’m glad to see it. I wonder if they sent Kelly a preview copy… Would love to take a sneak peak. I really like books that focus on how to actually do something.